If you think the enderman is easy opponents and can deal with him in a matter of seconds, then you definitely need a rival stronger. 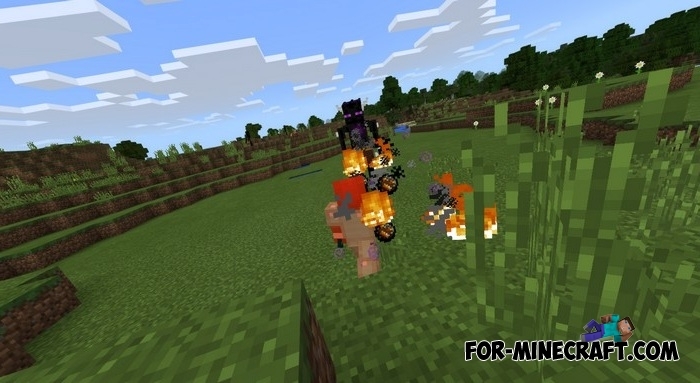 This Minecraft PE addon adds a new boss known as the Ender Boss. 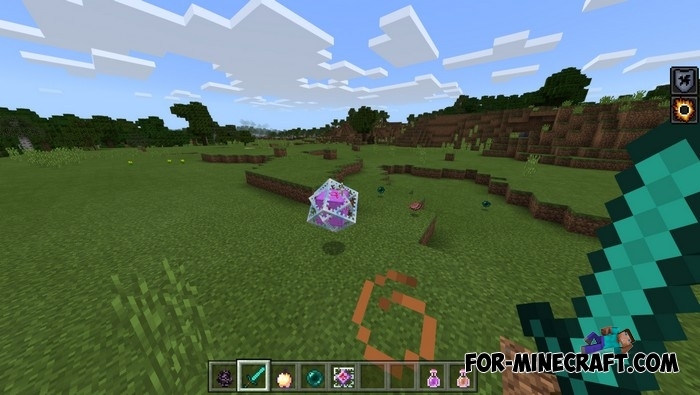 It is not just an improved version of the usual enderman, it combines the best qualities taken from other bosses. First, the Ender Boss is able not only to teleport, but also to call several assistants in the event that you have greatly angered him. Surely you did not know that the boss can throw fireballs at any enemy to death. Secondly, if you are an excellent fighter and still able to defeat him, then an excellent drop is waiting for you. This can be seen in the screenshot, so grab the sword and armor, call your friends and run to fight this evil boss. How to install the EnderBoss addon?